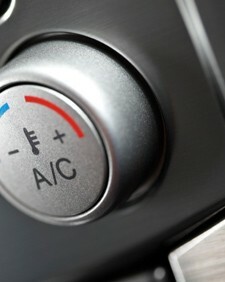 It’s important to have your car's air conditioning working all year round. Not only does it keep you at a pleasant and steady temperature in summer, but it also aids the de-misting of your car’s windows during the spring, autumn and winter months. If your car's air con has stopped working or it's blowing mildly warm air into your car instead of crisp, cool air, call us and we can fix it for you in a jiffy. If it needs fully recharging, call us and we’ll top it up for you. Most of today’s vehicle manufacturers recommend that, to keep the air con running smoothly and efficiently, you car's air conditioning systems should be routinely serviced and topped up every 30,000 miles or 2 years. Your car’s air conditioning system is literally alive! We can provide an air con disinfection service so that the nasty microorganisms are killed off.It removes the odours and applies a protective layer to the air conditioning system’s components reducing the likelihood of problems in the future. Ask us about this when you call. So, if you’re in Shipley or Bradford, why not arrange an air conditioning top up, recharge or repair now by calling us on Bradford 01274 794991.